The TeeJet ConeJet Spray Gun Tip 5500 series is an adjustable tip that performs optimally with handheld and backpack sprayers. The 5500 tip series is available in yellow, green, red, gray, brown, orange, and white color options. 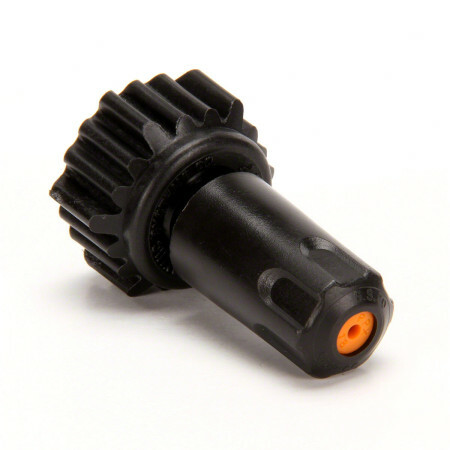 The 5500 adjustable ConeJet tip is also available in a polypropylene version. The polypropylene tip has the same performance characteristics as the brass tip and provides excellent chemical resistance. This tip's light weight makes it well suited for use on handheld and backpack type sprayers. Works better than the original brass tip.